Here we have a Beautiful Bohemian Gypsy Photo! This is such a lovely picture! 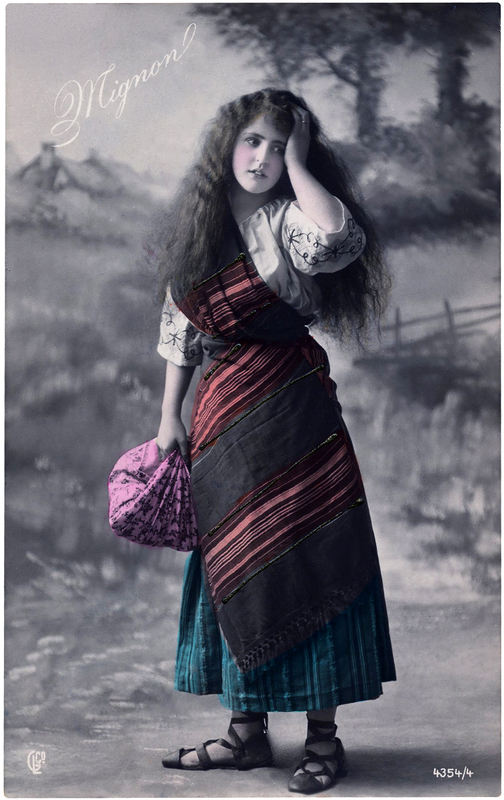 The picture shows a young Woman in a Gypsy Style Costume. She has such a pretty face and long lovely Hair! I love her Gladiator style Sandals, they fit right in with today’s Fashion! Nice to use in your Collage or Mixed Media Style Projects. You can find another similar image HERE. Antique Elegant Pink Calling Card Graphic! 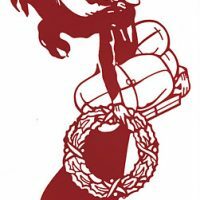 Vintage Christmas Clip Art – Lady Shopping with Wreath Graduation Silhouette Image – Young Lady! I sure hate to bother you with this, but I’m not getting any response from Block Posters. I have got it pretty well figured out re: how to print out things. However, I keep getting Block Posters logo on the bottom of the picture. I’ve tried with and with out a border and it doesn’t seem to make a difference. There must be a way – right? Oh no! It sounds like that’s something new that they added! They never used to do that before! Maybe add more white space around the picture and then cut it off. Will that work? love the colors, Thanks so much.